Most folks say, „Mother Nature controls the rain.” However this is not the case in the village of Finkleton. Soon after the Finkles inherit their Uncle Harry’s shop and move to Finkleton, they discover magical secrets hidden in his shop. One clue at a time, Jack, Lizzy and Robert learn the town’s amazing secret. No, Mother Nature is not in charge in Finkleton! Ever since Uncle Harry’s death, the weather has not been cooperating. Farms are starting to fail. Will the Finkle children be able to solve all the magical mysteries before the village is destroyed? When the Finkle children discovered magical secrets in Uncle Harry’s shop, they vowed to keep them safe. Two years later Jack, Lizzy and Robert realized that the perfect weather wasn’t the only secret waiting to be discovered in the mysterious shop. Things aren’t always what they seem to be! There were people who would stop at nothing to acquire land in Finkleton. Of course, there were also those determined to protect the little village from greedy outsiders. 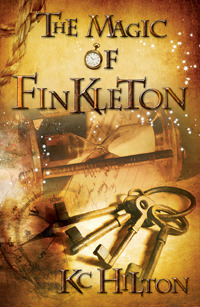 Will selfish desires destroy the village of Finkleton? It was only a matter of time before those who cared about Finkleton and those who cared only for themselves would come into conflict. The result of this outcome would likewise depend on a matter of time. Once again Jack, Lizzy and Robert must learn to work together to protect the magical secrets of Finkleton. Come along to Finkleton. A new, magical adventure is about to begin! Born and raised in Aurora, Illinois I spent my childhood playing street games with the neighborhood kids. When I wasn’t outside, I spent much of my time reading and getting lost in adventurous worlds and whirlwind courtships. At the age of seventeen, I moved to Kentucky and eventually began to raise a family of my own. I have always been entranced by stories of magical adventure, and though I have had to live in the practical world, running a family business as well as two of my own, I have discovered that writing is an entirely new, exciting adventure all on its own! We have a large family and our get togethers are so much fun! And did I mention that I’m a photographer? Yes, I take tons of photos! We also have a mini dachshund, her name is “Roxy” she only weighs 10 pounds but is a huge part of our family. She’s so spoiled! In my spare time, I can be found updating my website or blog, finding great books to read or watching videos. Most days I crave Diet Coke, pizza and chocolate, in no particular order. 1. 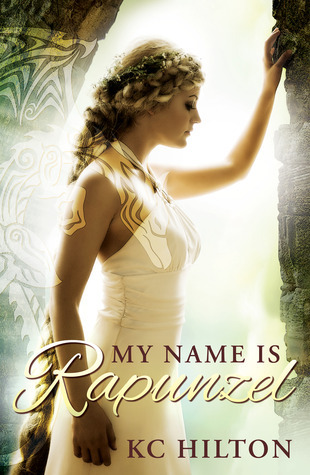 How did you come up with the ideas for both Finkleton series and My name is Rapunzel ? The idea for the Finkleton series came to me in a dream, then I pulled from what I knew. I visited Bath, England once and I fell in love with the place. 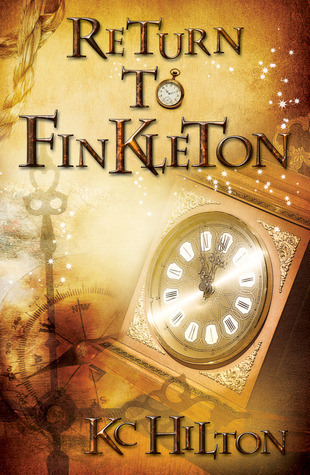 The village of Finkleton exists when there wasn’t any electricity or telephones. There were horse drawn carriages and the children were more responsible at a younger age, respected everyone, did their chores and were hard workers. In the Finkle’s shop, the children run the family store. That part of the story came to me because of my own mother. When she was only eight years old, she worked for my great uncle in his small general store. She would stand on a milk crate to reach the cash register when people bought supplies. The money she earned went directly to her family to help support them. 2. The book 90 miles to Freedom is about someone you know or met ? 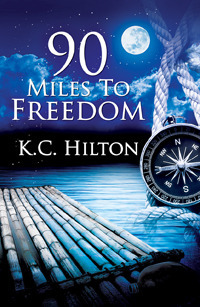 90 Miles to Freedom is pure fiction. To be honest, the characters do mimic my family. My husband swears, George Scott stole his identity! 90 Miles to Freedom came to me in a dream, while we were on vacation in Florida. I woke up from a bad dream at 4 am, then fumbled around in the dark (so I wouldn’t wake anyone up) and scribbled some of the dream on the back of a business card. I didn’t want to forget the dream! The dream continued to replay in my mind like a movie, until I started writing about it. I wrote it like I was watching a movie and I had to describe everything to the reader. I still have the business card that I scribbled part of the dream on. It’s amazing that I could make out what I wrote (in the dark)! Oh, yes, most of the time I describe characters from people I know, how they act, what they look like and how they talk. Sometimes, I use one person’s looks and another person’s attitude. It’s fun to come up with new characters that way. 4. Who would you see in the movies adaptations of your books? Oh, I love character association! William Finkle: Jude Law, Gerard Butler, Colin Firth or Jeffrey Dean. 5. If you could go back in time , which period would you choose? If I were to go back in time, I’d choose the Regency period. Ohhh, the carriage rides, the fine dresses, the balls and no television, internet or telephone. I would have more time to read books! 6. Where would you rather live: Hogwarts , Narnia , Half-Blood Camp , Evernight Academy , Forks or Fell’s Church ? Oh, gosh this is a tough questions! Hmmm. I think I’d have to choose… Hogwarts! Do you read scary/horror books? No. They creep me out too much and I wouldn’t be able to sleep. I’m a big chicken! 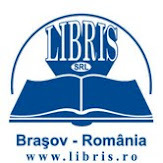 And the final task , can you send a message to your future romanian readers? Hello everyone! I hope that you’ve enjoyed reading a little about myself and my books. If you enjoy reading Children’s/Middle Grade, Adult Fiction or YA, I do hope you enjoy reading one of my books. On a more personal note, I have a full time job. I’m married to a wonderful husband. We have some awesome grown-up children, adorable grandchilden and a dog. I love Diet Coke, Pizza and Chocolate. I love to watch movies and read as many books as I can. When I’ve had a busy day at work, I tend to read a book to settle myself down. I love to get lost in other imaginary worlds. I tend to stay up late at night reading or writing. 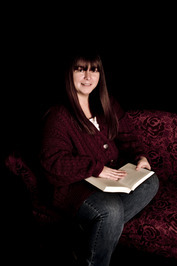 I enjoy reading Historical Romance, Adult Fiction, Adult Romance, YA and Middle-Grade. Cartile le gasiti pe BookDepository si pe Amazon. Astazi o avem alaturi de noi pe Melissa de la Cruz , autoarea seriei The Ashleys , serie care se distribuie impreuna cu revista BRAVOgirl. CW: Hello. Describe „The Ashleys” in a few words. What would you think if you were a reader not the writer? – The Ashleys rule Miss Gamble’s Preparatory School for Girls. They are gorgeous, rich, impeccably fashion forward, and, yes, all named Ashley. Lauren Page has gone to the same school with them her whole life, and is no longer the mud-eating loser she once was. And though she has completely changed her exterior from bargain-basement cast-offs to off-the-runway couture she is still the same person on the inside. And that person has had enough of the current regime. CW: What’s the story behind the Ashley name? How come all the three characters have the same name? -I met so many young girls named Ashley when I was writing it. It seemed everyone was named Ashley. CW: Did you put yourself in Lauren’s shoes, while writing the novel? – I myself survived through an exclusive all-girls school in San Francisco, and I too-clearly remember what the trauma of the daily walk into school was like. My idea for the Ashleys was what would happen if someone who’d been a social outcast suddenly became the biggest insider? Would she change the popular girls or would she change herself for better or worse? CW: Who would play the main roles in a movie adaptation? -I have no idea. I don’t know the young actresses very well sadly. CW: Why did you decide to end the series? – I had planned to write at least two more books, but my schedule did not end up allowing me to do so. There is a short story ending to the series, which can be found on my website at www.melissa-delacruz.com. CW: Since this stuff is so popular these days, vampires or werewolves? CW: Vampire Diaries or Twilight? CW: Gryffindor, Slytherin, Ravenclaw or Hufflepuff? CW: Team Peeta or Team Gale? CW: Can you describe a perfect day in your life so far? -The day my first book was bought by Simon and Schuster in 1997. CW: And last, a message for your Romanian readers? -Buna ziua.I hope you enjoy the Ashleys! Tin sa mentionez ca acesta a fost primul meu interviu.. Yay me !